Exclusively Ours! Lead & Nickel Free! Genuine Austrian Crystal Covered Silver Tone Guardian Angel Wing Pendant Charm Comes On Your Choice Of Necklace: Delicate Silver Tone Snake Chain Necklace, Black Suede Leatherette, Or Link Chain With Lobster Clasp. 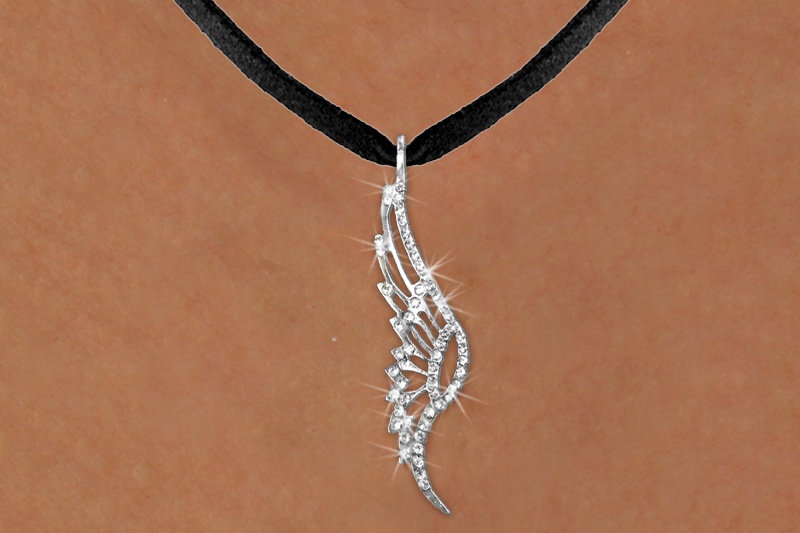 Pendant Has Option To Place A Small Charm Inside The Wings! See Bottom For Details. Wing Pendant Measures: 2 1/2" x 5/8".